One of the more intriguing parts of the ancient astrological magic grimoire Picatrix are the sections on the talismans of the faces/decans. These are ancient 10 degree subdivision of the signs, with 3 decan/faces in each sign and 36 total. 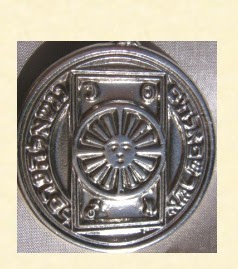 We have a variety of different traditional sources that list talisman image descriptions for each face. Agrippa, for example, lists his face images at Three Books of Occult Philosophy, Bk II, ch. 37. Very odd and interesting they are, too! "And know that what has been said before [concerning] the faces of the signs is a great secret of great benefit that cannot be understood by many students of astronomy unless they are intelligent, acute and subtle at extracting the root of [what is] profound. And this is because one planet has the power to impede the effects of another planet, and the power of a term is more powerful than the power of a face and the power of a face is more powerful than the power of a sign." This seems rather odd. The usual ranking of essential dignities in traditional astrology is sign (+5), then exaltation (+4), triplicity (+3), term (+2) and then face (+1). One of my favorite essential dignity cites is from Lilly on the face which he says, "..is almost like a man ready to be turned out of doors, having much adoe to maintaine himself in credit and reputation: and in Genealogies it represents a Family at the last gasp, even as good as quite decayed, barely able to support it self." Christian Astrology, 103. "It is related than an authority in this subject assigns 30 to the lordship of the ascendant, 20 to exaltation, 10 to lordship of face, 5 to that of term, 3 1/2 to that of triplicity, 4 1/2 to that of the hour, and finally to the Sun or Moon whichever is the lord of time, as much as the lord of the ascendant...This is the practice of the Astrologers of Babylon and Persia, who regard the lordship of the face as very important." Book of Instruction, section 494. "And this is because it is natural for one to advance over another, as water extinguishes the heat of fire, and fire carries off the coldness of water, and water moistens the dryness of earth, and earth dries up the moistness of air. And this is, because of their qualities when they in turn unite and are pure, the strongest will conquer and prevail, and if many qualities join in turn, the strongest will be able to conquer entirely. And if they are equal in their powers and effects, their work and effect will have a mixed nature. And if there is one quality that is very abundant in its own remote place, its perfection is diminished and consumed in the same way that that health, after it is most strong, produces illness, and at the time when fruits are ripe and ready to be harvested they fall off of the tree, and the little snake destroys and kills the great snakes, and small and tiny worms when they join together kill a serpent, and the powerful is weakened by the weak according to his nature. You should carefully consider what we have said." Picatrix Bk II, ch. 11. Now this passage is even more intriguing. One chain of thought that it sets off in me is that of the rhythm of the cycles that are constantly occurring in the Heavens. We can see these patterns in the stars fairly clearly if we cast off the modern world view that looks upon astrology as illogical and irrelevant. It is harder to see the reflection of the Heavens in earthly events because Matter resists the imposition of the Divine and Celestial forms and because, if the cycles are unfolding in our own lives, they often go in patterns that our ego dislikes. It seems unfair, it shouldn't be this way, how can this be happening to me? But as Seneca puts it, Ducunt volentem Fata, nolentem trahunt. "Fate guides the willing and drags the unwilling." So our task is first to see the cycles occuring, then to go with them. The passages about the weak weakening the strong are even more intriguing. It sounds very Taoist to me. "Nothing in the world is softer and weaker than water; But for attacking the hard and strong, there is nothing like it! For nothing can take its place. That the weak overcomes the strong, and the soft overcomes the hard, This is something known by all, but practiced by few"
the cycles, while still accepting them. We do not oppose the strong as it strengthens, but wait until the strong exhausts itself. We exhaust the strong with the weak. "What is in the end to be shrunken, begins by first being stretched out. What is in the end to be weakened, begins by first being made strong. What is in the end to be thrown down, begins by first being set on high. What is in the end to be despoiled, begins by first being richly endowed. Herein is the subtle wisdom of life: the soft and weak overcomes the hard and strong." Tao teh ching, Stanza 36. I recently had a question from a student that I wanted to post since I thought it touched on some useful astronomical/astrological concepts. The question had to do with the upcoming election for the fixed star Alkaid, which is at 27 Virgo. At the student's location the Moon on May 31, 2009 at at 17 Virgo and on June 1, 2009 at around 1 Libra. They knew that the Moon needed to apply to Alkaid and Alkaid had to be rising, ie on the Ascendant. They felt that because the Moon was rising in June 1 and would pass over the Ascendant as she rose that this was applying. However, in fact, the May 31 election was the proper one! Why is this? What we need to keep in mind is that there are two types of motion involved here, primary motion and Zodiacal motion. The primary motion of the whole Heavens which causes the Sun and Moon to rise and the fixed stars to move, making a complete rotation in 24 hours. This is caused by the rotation of the Earth, from a heliocentric perspective and by the motion of the sphere of the fixed stars in the geocentric perspective. This makes the Moon move in a clockwise motion on the chart. Primary motion changes the location of planets, stars, etc., in terms of their house position because the house position is based on local space, that is looking from the position of the observer, wherever they may be located on Earth. 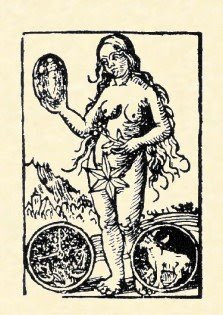 At the same time the Moon is orbiting the Earth and moving through the Zodiac, so while she has risen into the 12th house due to primary motion, she is also moving counterclockwise, in the order of the signs. Thus she is also moving from 17 Virgo where she is now towards 27 Virgo where Alkaid is. Zodiacal motion does not depend local space and is the same for all observers, no matter what their location. We do not measure aspects by primary motion, the motion produced by the Earth's rotation, but by the motion of the planets in their orbit, their motion through the Zodiac. The Moon will not reach the Ascendant and perfect her conjunction with Alkaid with Alkaid on the Ascendant. But that is not necessary! The power of the conjunction is effective so long as she is within orb of an applying aspect. She aspects, literally beholds or sees the Ascendant and Alkaid, because she is within orb and therefore has an effect on them. 1. Alkaid rising, ie conjunct the Ascendant, so 27 Virgo is on the Ascendant. We need not have the Moon at 27 Virgo and 27 Virgo rising! All we need is 27 Virgo rising and the Moon within her orb, say about 12 degrees. She could be at 15 Virgo and it would be usable. Just today I stopped by the post office and picked up Wade's newest shipment, the Cazimi Moon talisman for invisibility and protection against enemies, the government and those in authority. This is a very cool combination of a Cazimi Moon and house based protection talisman. The Moon is exalted and cazimi, within 17 minutes of the Sun, in fact for these talismans the Moon is exactly, to the minute conjunct the Sun! This dramatically punches up the power of the Moon and since the Moon is united with the Sun, is perfect for invisibility. Then we have a very nice election to strengthen the user of the talisman and weaken their enemies and the government. Scorpio rises and Mars rules the 1st house, signifying the user of the talisman. Mars is well dignified by sign and face. The 2nd house of money is ruled by the natural ruler of wealth, Jupiter, who is dignified by term. The 7th house of open enemies is ruled by Venus, who is afflicted by being in detriment. Mercury, ruler of the 10th house of government is peregrine (also pretty close to nasty Algol) and thus weak and Saturn, the Greater Malefic, retrograde, afflicts the 10th house. Nice, very nice! The design is inspired by an invisibility talisman from the Black Pullet, an 18th century grimoire. Nice looking designs, but so late and decadent that the symbols don't even mean anything anymore. We used the symbols of the planets involved as recommended by Agrippa and Thabit Ibn Qurra and changed the nonsensical squiggles for an appropriate Psalm in Hebrew. 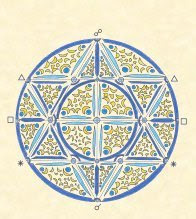 This is a very special talisman since while it is entirely inspired by traditional methods, for the first time both the design and election are by the Renaissance Astrology team and not directly from a traditional source. We are not departing from traditional methods, we are not changing to fit the times, but we are also not afraid to create new talismans within the tradition! The cost of the Cazimi Moon protection talisman is just $199.95 plus $12.95 US priority mail shipping or $35.95 insured non-US global express mail or US express mail shipping. Here is order and further info.